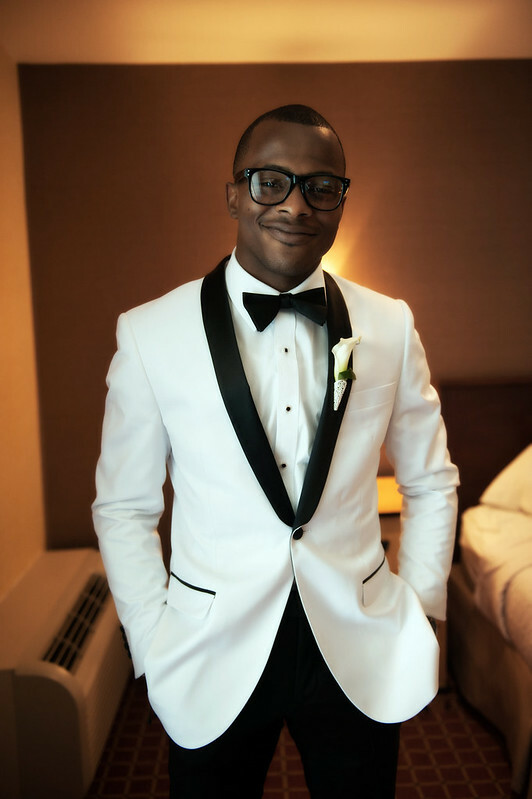 As far as tuxedos go, we haven’t seen that many grooms choosing white ones lately. 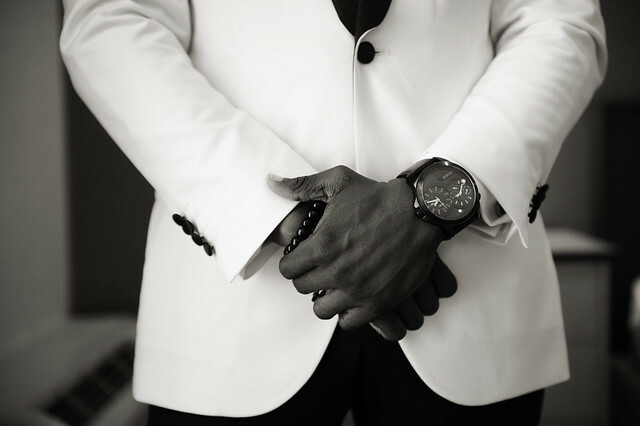 But don’t discount them yet, the white tux could really illuminate that effortless – cool – groom look and give you a run for your money. That is the case here at Abisola’s wedding ceremony. 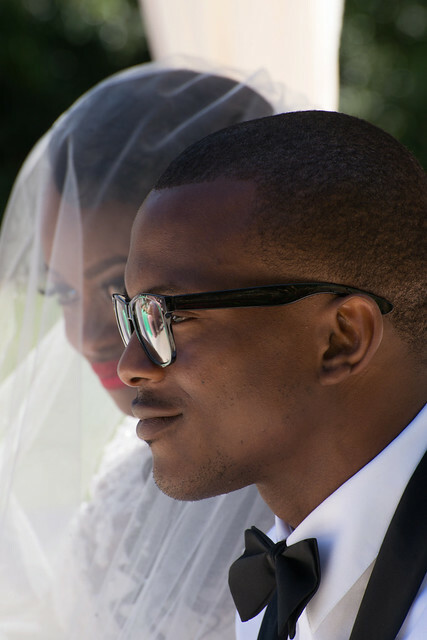 Her husband was sporting a white Ferrecci tux – tailored so well with the black lapels to match the Calvin Klein bow tie. 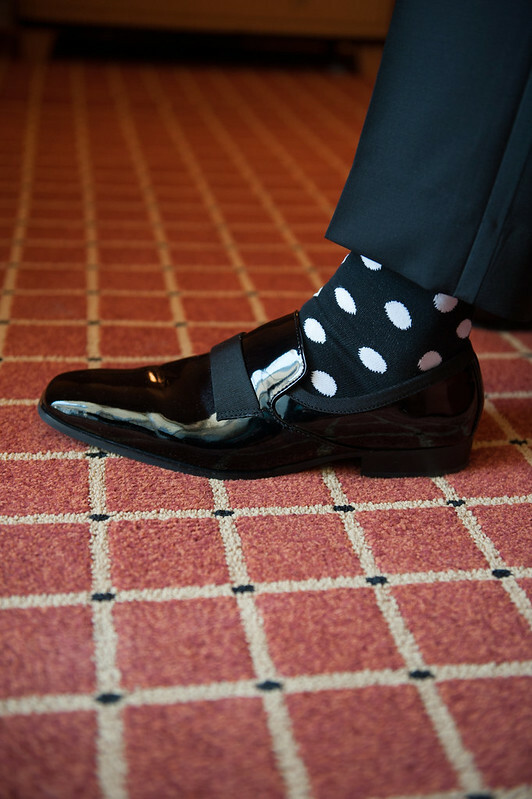 And the dotty socks mimicked the color palette in a trendy way! Does the white tux get your thumbs up? It certainly got two from Well-Groomed, especially styled sartorially as such in his look!